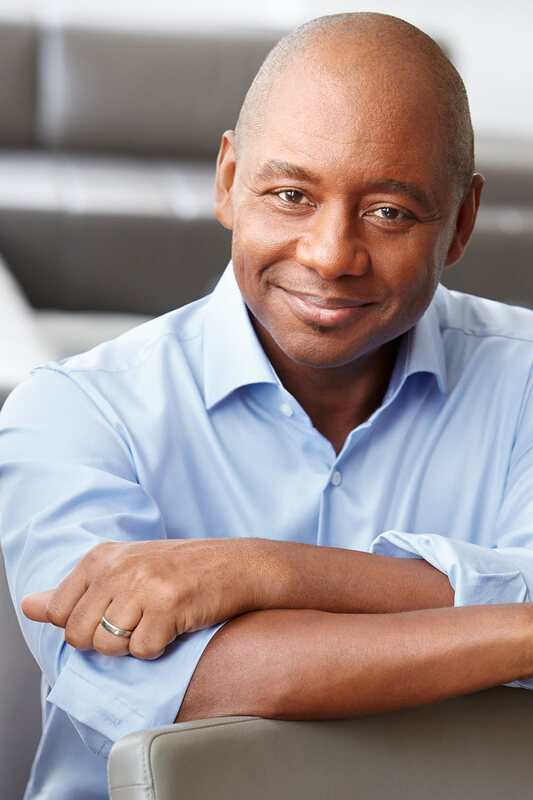 Branford Marsalis has stayed the course. From his early acclaim as a saxophonist bringing new energy and new audiences to jazz, he has refined and expanded his talents and his horizons as a musician, composer, bandleader and educator – a 21st Century mainstay of artistic excellence. Growing up in the rich environment of New Orleans as the oldest son of pianist and educator Ellis Marsalis, Branford was drawn to music along with siblings Wynton, Delfeayo and Jason. His first instrument, the clarinet, gave way to the alto and then the tenor and soprano saxophones when the teenage Branford began working in local bands. A growing fascination with jazz as he entered college gave him the basic tools to obtain his first major jobs, with trumpet legend Clark Terry and alongside Wynton in Art Blakey’s legendary Jazz Messengers. When the brothers left to form the Wynton Marsalis Quintet, the world of uncompromising acoustic jazz was invigorated. Branford formed his own quartet in 1986 and, with a few minor interruptions in the early years, has sustained the unit as his primary means of expression. Known for the telepathic communication among its uncommonly consistent personnel, its deep book of original music replete with expressive melodies and provocative forms, and an unrivaled spirit in both live and recorded performances, the Branford Marsalis Quartet has long been recognized as the standard to which other ensembles of its kind must be measured. The Quartet rarely invites other musicians into the folds of their cohesive unit, but in December 2015, they were joined by guest-vocalist Kurt Elling for a weekend’s engagement at New Orleans’ Snug Harbor. This culminated with three days in the studios of the Ellis Marsalis Center for Music where, energized by the artistic promise of this collaboration, the musicians all contributed new arrangements to record with this special line-up. The result can be heard on their June 2016 release, Upward Spiral, which has been nominated for a 2017 Grammy award in the category of Best Jazz Vocal Album. Branford has not confined his music to the quartet context. In addition to guest turns with a legion of giants including Miles Davis, Dizzy Gillespie, Herbie Hancock and Sonny Rollins, he has excelled in duets with several major pianists, including his boyhood friend Harry Connick, Jr. and the longtime pianist in his quartet, Joey Calderazzo. Branford’s first solo concert, at San Francisco’s Grace Cathedral, is documented on his 2014 recording, In My Solitude. Classical music inhabits a growing portion of Branford’s musical universe. With a repertoire including works by Copland, Debussy, Glazunov, Ibert, Mahler, Milhaud, Rorem, Vaughan Williams, Villa-Lobos and Sally Beamish (who reconceived a work in progress, “Under the Wing of the Rock,” to feature Branford’s saxophone after hearing him perform one of her earlier pieces), Branford is frequently heard with leading symphony orchestras including those in Chicago, Detroit, Dusseldorf and North Carolina as well as the New York Philharmonic. He also served as Creative Director for the Cincinnati Symphony’s Ascent series in 2012-13. Broadway has also welcomed Branford’s contributions. His initial effort, original music for a revival of August Wilson’s Fences, garnered a Drama Desk Award for Outstanding Music in a Play and a Tony nomination for Best Original Score Written for the Theater. Branford also provided music for The Mountaintop, starring Samuel L. Jackson and Angela Bassett, and served as musical curator for the 2014 revival of A Raisin in the Sun. Branford’s screen credits include the original music for Mo’ Better Blues and acting roles in School Daze and Throw Momma from the Train. Branford formed the Marsalis Music label in 2002, and under his direction it has documented his own music, talented new stars such as Miguel Zenón, and un-heralded older masters including one of Branford’s teachers, the late Alvin Batiste. Branford has also shared his knowledge as an educator, forming extended teaching relationships at Michigan State, San Francisco State and North Carolina Central Universities and conducting workshops at sites throughout the United States and the world. As for other public stages, Branford spent a period touring with Sting, collaborated with the Grateful Dead and Bruce Hornsby, served as Musical Director of The Tonight Show Starring Jay Leno and hosted National Public Radio’s widely syndicated Jazz Set. The range and quality of these diverse activities established Branford as a familiar presence beyond the worlds of jazz and classical music, while his efforts to help heal and rebuild New Orleans in the wake of Hurricane Katrina mark him as an artist with an uncommonly effective social vision. Together with Harry Connick, Jr. and New Orleans Habitat for Humanity, Branford conceived and helped to realize The Musicians’ Village, a community in the Upper Ninth Ward that provides homes to the displaced families of musicians and other local residents. At the heart of The Musicians’ Village stands the Ellis Marsalis Center for Music, a community center dedicated to preserving the rich New Orleans musical legacy containing state-of-the art spaces for performance, instruction and recording. Some might gauge Branford Marsalis’s success by his numerous awards, including three Grammys and (together with his father and brothers) his citation as a Jazz Master by the National Endowment for the Arts. To Branford, however, these are only weigh stations along what continues to be one of the most fascinating and rewarding journeys in the world of music.